Her go-to look is lashings of fake tan, a concealer lip and smudgy black eyeliner. 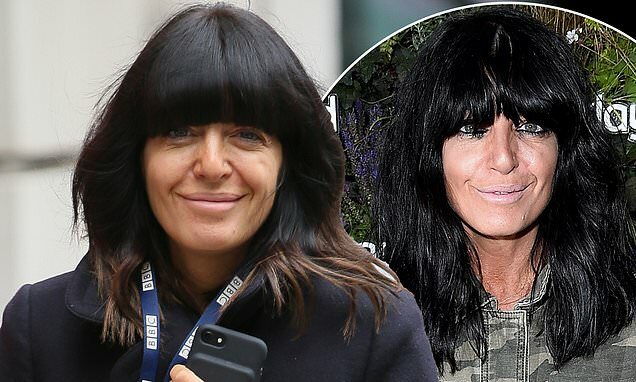 But Claudia Winkleman decided to showcase her natural beauty as she left BBC's Radio Two studios in London on Wednesday. Ditching her trademark make-up, the Strictly Come Dancing host, 47, looked the picture of confidence as she made her departure. Claudia looked almost unrecognisable as she accentuated her youthful visage by opting to go make-up free. While the television presenter decided to shun her smoky eye, the presenter ensured her signature sleek fringe was perfectly coiffed. Claudia, who has been recovering after her 24-hour Comic Relief danceathon with Tess Daly last week, cut a casual figure in a black pea coat, white trainers and Nike leggings.